The admission price is $35.00 per set PLUS a 2 drink minimum. 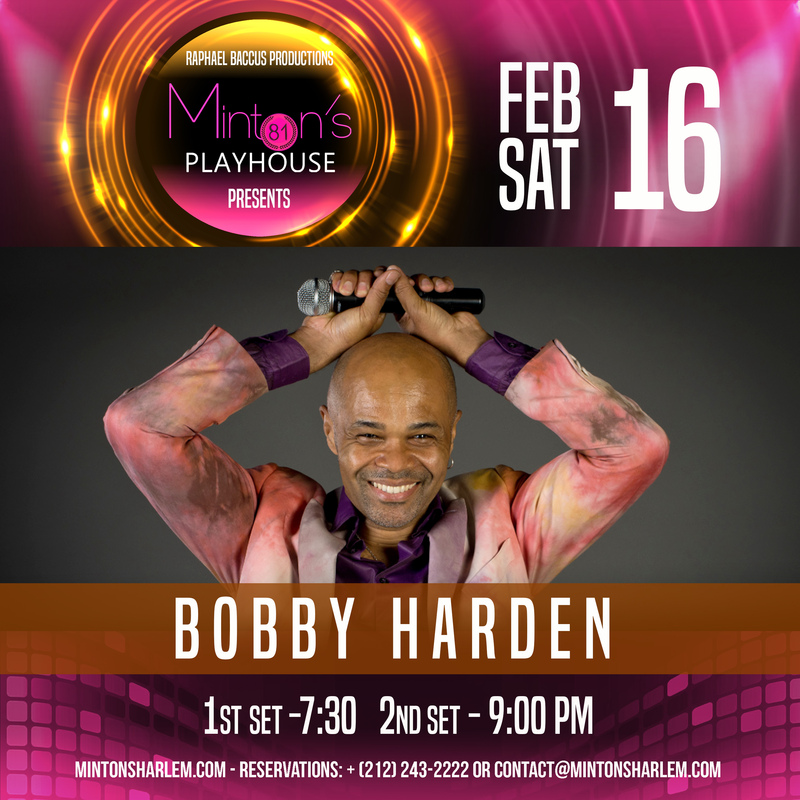 Bobby Harden, New York City’s acclaimed soul/ rhythm and blues singing sensation, is thrilling audiences as lead singer of the world-famous Original Blues Brothers Band. Led by music icons Steve Cropper and Lou Marini , the band keeps alive the tradition started by Belushi and Akroyd. From Marrakech to Munich, Tokyo to Moscow and Hong Kong to his home in New York’s Greenwich Village, Bobby Harden is a classic example of what it is to be a true soul/rhythm and blues crooner. Originally from Youngstown, Ohio, the fertile soil that also gave rise to legends such as: The O’Jays, Ohio Players, Bootsy Collins and Bobby Womack, Bobby started his own musical legacy while residing in Houston, TX. 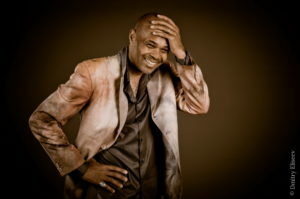 Today, the “Big Apple” is now proud to claim Bobby Harden as its own “Soul Man in Residence”. 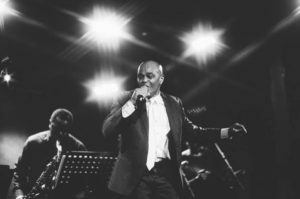 Simultaneously in the past, Bobby has also shared the stage with soul legends Solomon Burke, Eddie Floyd, Ben E. King, Robert Cray, Delbert McClinton and Howard Tate. He was also a member of the famous NYC band [and legendary horn-section session men}, The Uptown Horns. Bobby’s premier musical passion and talent though, lies within his own wonderful music…as shared with the world on his own record SOUL PURPOSE. An even more extraordinary musical plateau has been reached with the recent RIVER OF SOUL album, with invaluable assistance by music guru &amp; musical director of the SATURDAY NIGHT LIVE BAND, Leon Pendarvis. Bobby is a natural entertainer, and his enormous personality immediately connects with his audience. He’s as compelling performing at the Obama Inaugural, Lincoln Center, headlining the Calgary Stampede in front of 16,000 cheering Canadians , in Torino,Italy for 20,000…. as he is in intimate nightclubs. Bobby’s phenomenal eight piece SOUL PURPOSE band are an amazingly tight, funky band of brothers and sisters who help whip audiences into the frenzy known as a BOBBY HARDEN show.